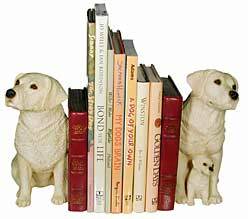 This section features miscellanneous Labrador Retriever gifts and collectibles; items that didn't fit into one of our main product categories. 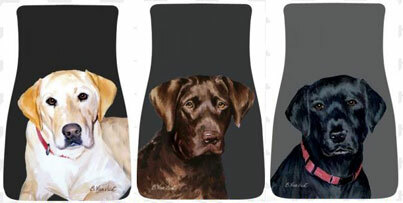 Labrador gifts varying from Labrador themed eyeglass cases, picture frames, collars and leashes with a Labrador Retriever design, porcelain boxes, memorial urns, Lab treat jars, doorstops,.. featuring Black, Yellow and Chocolate Labs, Lab puppies and adult Labradors. 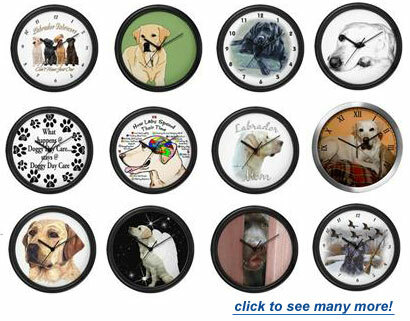 Online shopping for the Labrador Retriever dog lover. Two Labrador Puppies Bookends - "Bad Boys"
No one gets into a good book like these mischievous little Lab puppies. Sculpted in solid resin and finished to convincingly imitate real bronze, these handsome bookends measure 7"H x 7.5"W each. "Bad Boys" by Big Sky Carvers; set of 2 bookends. For more information and/or to buy, click here please. Functional reproductions from original woodcarvings. Each sits on a walnut plaque w/ skid proof pads. Hand-painted. Size: Approx. 9 1/2" high. 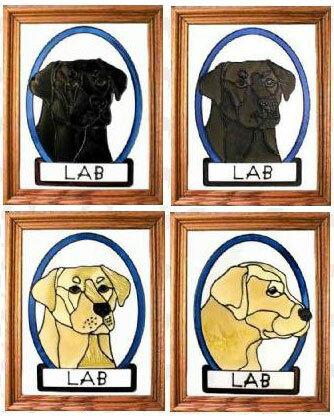 Exclusive gifts for the Labrador Dog Lover. Keep books in place while adding a charming decorative touch. 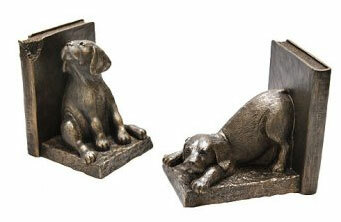 Click on the link to see all Labrador bookends currently available! 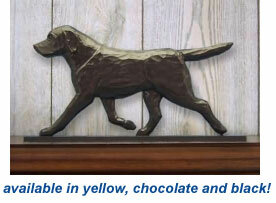 Yellow Lab Gifts, Black Lab Gifts and Chocolate Lab Gifts. by MasterVision. Remarkable detail - etchings capture the fine art of popular artist Linda Picken. Adds a unique and eye-catching accent for your home. Available etchings are a Black Lab hunting dog, and a scene depicting two Lab puppies with ducklings. 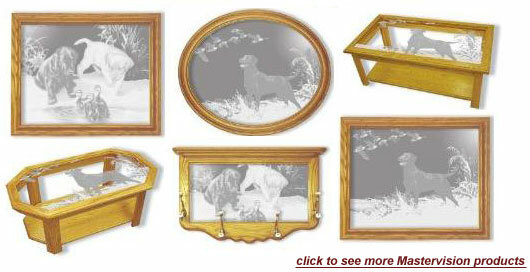 To see all Mastervision Lab products, larger pictures and/or to buy, click here please. Unique and Exclusive gifts for the Labrador Lover and Huntsmen. From original watercolors by Vermont artist, Barbara Van Vliet, these Labrador car mats feature your favorite breed in a PAIR of all-weather car mats. These non-skid durable mats are soil resistant, and rubber-backed. Size: 26" x 16 3/4". 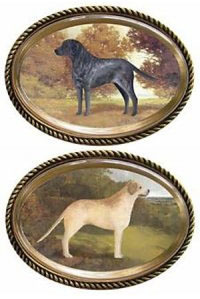 Each presented in an oval gift box, these handsome paperweights feature popular dog breeds painted in the traditional English style and encased in Wellington-cut French glass. Paperweights in this collection feature a felt-bottomed, bronze-finished base. Paperweights measure 4.5" x 3.25". 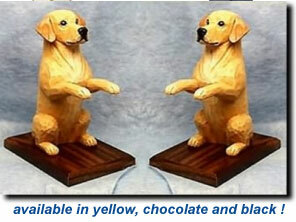 A most charming paperweight - bean bag Yellow, Black or Chocolate Lab puppy approx 4" tall. Silk screen printed on 100 percent cotton, filled with non-allergenic fiberfill and weighted with plastic pellets. These are the finest pieces of hand-crafted stained glass you will find anywhere..... simply beautiful reproductions of your breed. Hand-crafted by local artisans in Wisconsin, the pride in their work shows through in every exquisite detail. Total Framed Size is 13.5 x 16.5 inches. Chocolate Lab Retriever, Yellow Lab Retriever or Black Lab Retriever. Yellow Labrador Retriever Cremation Memorial Urn. 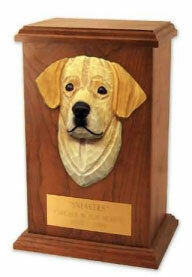 Yellow Labrador Retriever Cremation Memorial Urn: Hard-wood rectangular box with routed edge. Spacious enough to hold large dog cremated ashes. Blank 1 �" x 4" brass plate is included for engraving. (Engraving not included) Mounting tape is supplied. 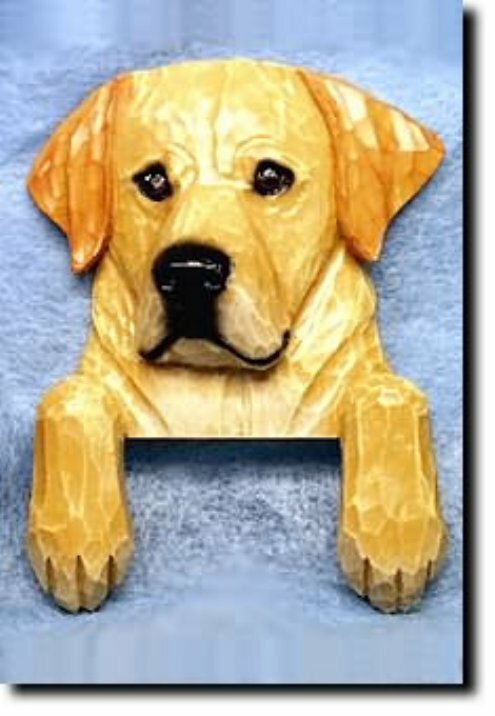 Yellow Labrador Retriever Cremation Memorial Urn head is resin cast from an original hand-carved piece and hand painted. Dimensions of box: 4 1/2" x 6 3/8" x 10 1/2". Available in Light or Dark Oak. Solid oak rack with 2 � 2.5" shaker pegs. For hanging keys, leashes, hats, etc. Features a 2-dimensional resin dog breed head study cast from an original handcarved piece. Saw-tooth hanger in back for hanging. Dimensions - 8" x 10". Choice of light or dark oak stain. Made in the U.S.A. Beautifully hand crafted solid oak Labrador Retiever Wall Clock featuring a 2-dimensional resin dog breed reproduction of an original wood carving. Derived from an original wood carving from Master Woodcarver Michael Park. Accented with gold-plated numerals and hands. The reliable Quartz movement requires a single AA battery (not included). Great for displaying in the kitchen, living room or den. Available in light or dark oak. Clock measures 12 3/4" in diameter X 3/4". Made in the USA. 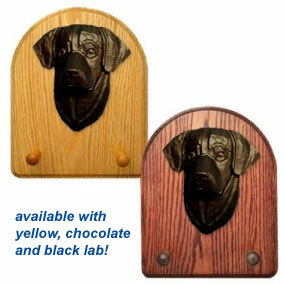 Choose between a Yellow Lab Clock, a Black Lab Clock or a Chocolate Lab Clock. Decorate any room in your home or office with one of these 10 inch wall clocks. Black plastic case. Requires 1 AA battery (included). 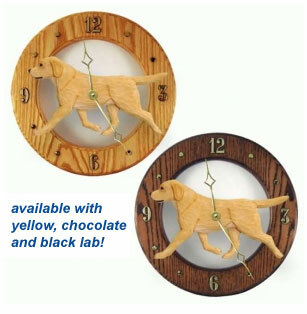 Black Lab Clocks, Yellow Lab Clocks and Chocolate Lab Clocks. 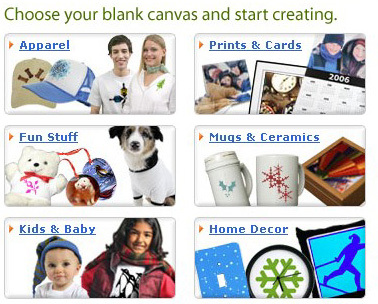 Create a made-by-you Original ! Create your Custom Short-Sleeved Shirt, Long-Sleeved Shirt, Sweatshirt, Tank Top, Intimate Apparel, Hat or Cap, Kids Clothing, Boxer Shorts, Baby Clothing, Throw Pillow, Stadium Blanket, Magnet, Button, Mug, Stein, Ceramic Tile, Coasters, Mousepad, Wall Clock, Calendar, BBQ Apron, Journal, Postcards, Poster, Framed Art Print, Photo on Canvas, Greeting Cards, Holiday Greetings, Tote Bag, Messenger Bag, Shoulder Bag, Keepsake / Porcelain Ornament, Stickers, Teddy Bear, T-Shirt for your dog, Baby Bib, Thermos Products, iPhone Case, iPad Case, ... click here to start! 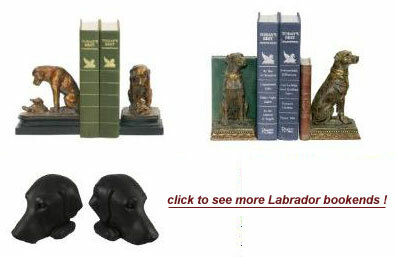 This section of Labrador Retriever-Gifts.com features miscellaneous Labrador Retriever Gifts.